The past weeks I was trying to create more beautiful jewels, accessories for every woman and girl, perfect for their wedding or just for everyday. So please let me introduce you the new collection of my Tiny Heart Necklaces!!!! Available in three amazing shades gold, silver and rose gold. 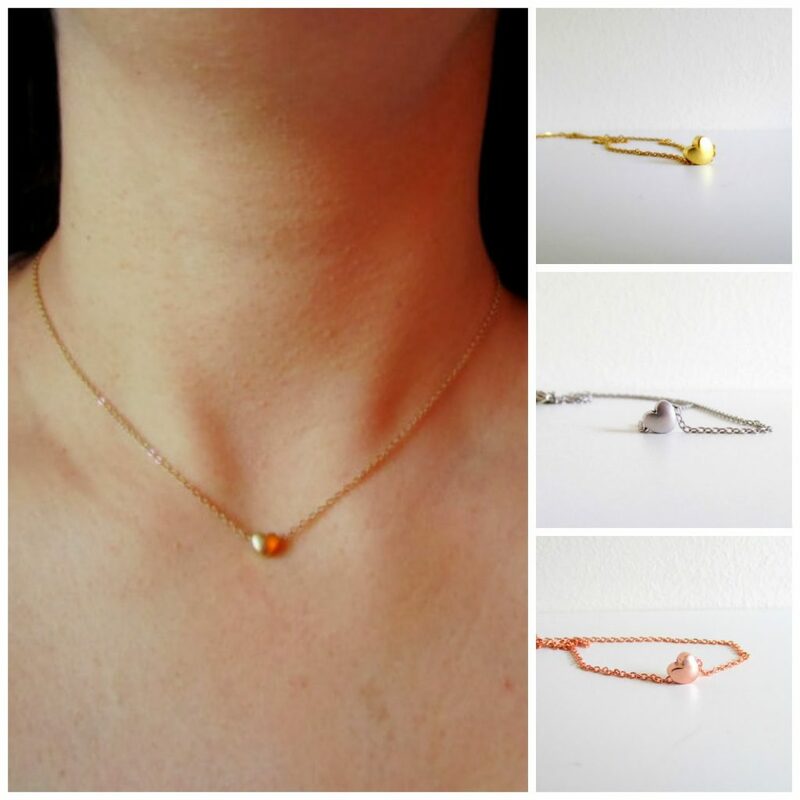 Dainty Necklaces really beautiful to wear them alone or with other amazing jewels. The greatest gift for your girlfriend and your bridesmaids!!! Valentines day is near, but this is a perfect for every season. And since Love is all around especially for this season…what is best from a tiny heart to wear it all the time??? Feel the love… express your emotions! Ho Ho Ho … my Secret Santa is here!!! !